These Instant Pot Baked Potatoes are so easy, you’ll never go back to the oven! Cook them with or without foil — they’re tender in just minutes and perfectly fluffy and creamy! Includes step by step recipe video. So here we are — right smack in the middle of an Instant Pot craze. I’ll be the first to admit that I haven’t always been on board with the thing, but I’ve given it a good shot and there are some things that I definitely love to cook in there. These Instant Pot Baked Potatoes were one of my very first experiments in my pressure cooker, and one of the things that made me fall in love with it! 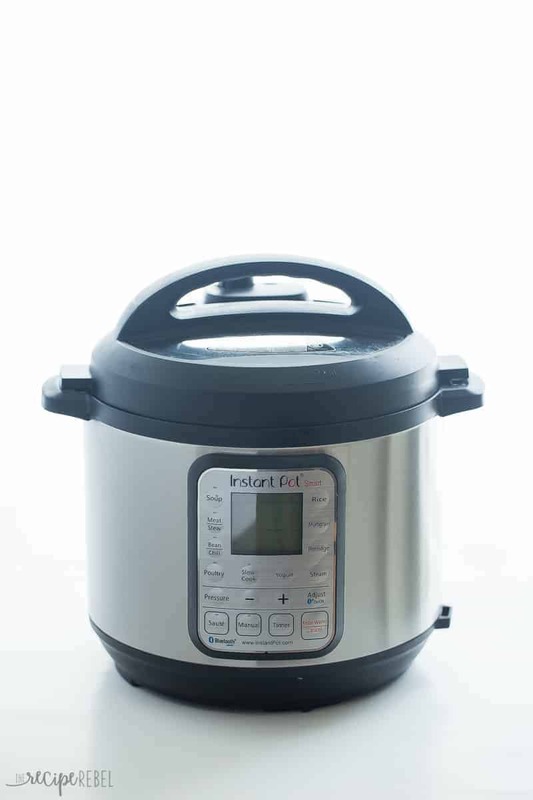 I’ve used my Instant Pot 4 times in the last 3 days, and although there will be more Instant Pot recipes coming your way, I want them to be perfect before they show up here. Pressure cooking has been a huge learning curve for me, as I’m sure it is for most people. 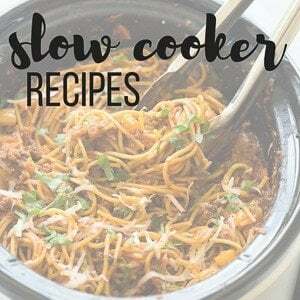 With a skillet or the slow cooker, it’s pretty easy to just throw in random ingredients and see how it goes, and you can adjust things as you go. 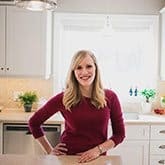 With the Instant Pot, it’s not quite so easy, because it takes so long to build pressure and release pressure before and after cooking time, you really want to make sure you get it right the first time (or plan ahead and give yourself an extra 30-45 minutes before you need to eat, just in case!). I’ve made my share of things that are not that great. Instant Pot Baked Potatoes? Not the one I expected to win me over. Baked potatoes can take forever in the oven, we all know. But in the pressure cooker? Minutes! Wrap them in foil or just throw them right in the pot — I know a lot of people don’t like cooking in foil and that is fine! I like to do foil when feeding a crowd because it makes it easy for everyone to grab one and go, but this is not necessary if it’s something you don’t like to do. The foil also keeps the seasoning, heat and moisture in after cooking. Season before (in the foil! ), or season after. You can slice the potatoes in half before wrapping and season with salt, pepper and other herbs and spices. Make a little, or make a lot! Stacking the potatoes won’t add any time to the cooking process. Use red or russet potatoes. I just love red potatoes, for pretty much everything, but I know traditionally russet potatoes are preferred for baked potatoes. Since these potatoes won’t get a crispy skin (thanks to all that steam), I prefer to use red potatoes because they have a smooth skin and creamy texture. These potatoes turn out so creamy and fluffy thanks to the steam in the pressure cooker, I think they are 10 times better than any oven baked potatoes! 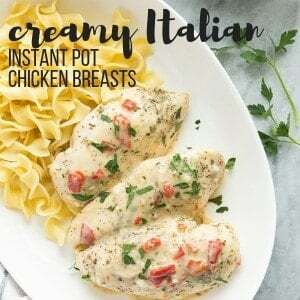 If you try them, I’d love to hear how you like them or what your favorite Instant Pot recipes are! 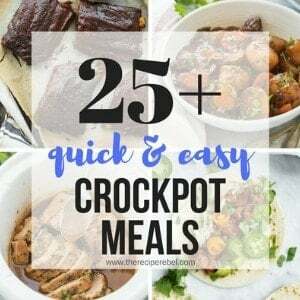 If you don’t have an Instant Pot and you’re curious about them, this is the one I have (affiliate link). You sure love your baked potatoes! I wanted to throw out three different ways to do them up, but I’d love to hear what you pile on yours! Classic Loaded Baked Potato: with sour cream, bacon, cheddar cheese and green onions. Broccoli Alfredo: with Alfredo sauce, steamed broccoli, and Parmesan cheese! Watch the recipe video and see how to make them! These Instant Pot Baked Potatoes are so easy, you'll never go back to the oven! Cook them with or without foil -- they're tender in just minutes and perfectly fluffy and creamy! 1 tablespoon salsa mild or extra spicy! Place the rack in the bottom of the Instant Pot and pour 1 cup of water in the bottom. Optional: Wrap each potato in a small piece of foil and place on top of rack (stacking them is fine -- I get about 7 flat on the rack), or skip the foil and just place them on the rack. Place the lid on the Instant Pot and switch the valve to sealing. Press Manual, leave the Instant Pot at high pressure (the default), and set the time at 15 minutes for small potatoes, 17 minutes for medium potatoes, or 20 minutes for large potatoes. The Instant Pot will begin heating and building pressure, and this will take about 8-10 minutes. It will then begin counting down from 15 until the potatoes are cooked. When the timer beeps, press Cancel and either allow the Instant Pot 10 minutes to naturally release pressure before opening the valve to venting and removing the lid, or do a quick release and open the valve after pressing Cancel. If you do a quick release, be careful as the steam is hot and comes out quickly. I like to use a towel to do this. If you like, you can split the potatoes and add butter and salt in the center so that they will season as they cook. Then wrap in foil and continue with the recipe. If you always use QR you will be disappointed in some of your results, especially meat. it needs some minutes of natural release to be tender and juicy. The amount of water you put in your pot is determined by it’s size. An 8-quart requires 18 oz of water according to the manual. I have found that russet potatoes take longer in the instant pot then 15 minutes. If you need a quick potato,microwave. If you want a fluffy moist potato, instant pot! That’s a good tip, thanks! I usually use red potatoes and not russet, but they can be quite a bit larger and will require more time. I do not do QR with large cuts of meat, but often for potatoes and always for things like pasta that are quickly overcooked. I found that a deep split guarantees a cooked potato with the above cooking times. My initial knife slit resulted in an undercooked potato but I haven’t had the issue since I made a deeper slit. I have the 6qt instant pot and it says to always use 18oz of fluid so would it mess up the recipe if I use that much water? Also I have I would say large russet potatoes so do you think 20 minutes would be long enough? Are you sure it doesn’t say 8oz? The general rule of thumb is you need a minimum of 1 cup of water for the instant pot to come to pressure, which is why I recommend that amount. I’m quite late to the pressure cooker party and just bought one! I’m nervous to use it so I figured baked potatoes will be a good thing to try first. Like Amie says, my instruction book says to always use at least 18 oz of liquid. I have the new 6 qt Duo—maybe that makes a difference? The recipe book that came with it consistently calls for at least 2 cups of liquid, except when vegetables with high water content are used. I’m going to try 18 oz of water the first time. Wish me luck! I would go with what your manual calls for! I have the old 6 quart Duo and one cup has always worked great for me. Let me know how it goes! Thank you for having an “honest” recipe on your site. As a newbie to pressure cooking it is nice to see in the directions an approximate time for coming to pressure. I get so discouraged seeing recipes boasting only 10 minutes etc etc. It is definitely something that’s important to factor in! I tried this version using 5 medium yellow potatoes. I found that after 17 minutes they were not done to my liking and still pretty firm and under cooked in places. I think increasing the time to 20-22 minutes would do the trick. Still saving time! Thanks for the tip! I usually use red potatoes, so that is good to know. Made this this morning because I am going to stuff and bake the potatoes tonight for dinner (with mushrooms and cream cheese). This was much better than turning my oven on and letting my house get hot. I used 13 oz. Russet potatoes, therefore, I had to add some time for cooking. I cooked 2 13 oz. potatoes, in foil, for 25 minutes. Thanks for your feedback! Glad you liked them! What an awesome weeknight dinner shortcut! I can’t wait to try! I made my first dish in the Instant Pot I just received today. I used you recipe for “baked potatoes” I cooked 2 Large Idaho potatoes. They turned out perfect at the 19 minutes of cooking. Thank you! Finding your recipe helped me gain some confidence in using the IP. I’m so glad to hear that Gina! If you only want to make 4 potatoes would you use 1/2 cup of water, or would you still use 1 cup? Would you follow this same recipe for sweet potatoes? You can use the same technique but the cooking time will likely be different, I would guess longer. I can’t say by how much. My Instant pot didn’t come with a rack so can I place a saucer in the bottom like I do in my crockpot when cooking potatoes in it? As long as it’s oven safe I believe you should be able to use it in the Instant Pot. The rack is really handy for lots of things though, I would look into finding one if you can! It looks from the photo that you used red potatoes. Do you recommend a smaller potato? I’d like to try this recipe. I got an Instant Pot for Christmas this year and I’m still getting used to it. There is one recipe I’ve gotten down – chicken and carrots. I’ve done beans few times with success. Last night I tried chili from dry beans. Baked potatoes are next! I used 4 small/medium russet potatoes & cooked them 16 minutes, still too firm. I will cook them longer next time. It might vary depending on the type of potato you use and obviously what your “medium” and my “medium” are — the Instant Pot manual suggest 12-15 minutes for whole potatoes, and I found it to be right on. I used red potatoes, but it may be different depending on the type and shape of the potato. Would you happen to have a recipe for baked potatoes in a crockpot? I would love to try to make them sometime in the crockpot. 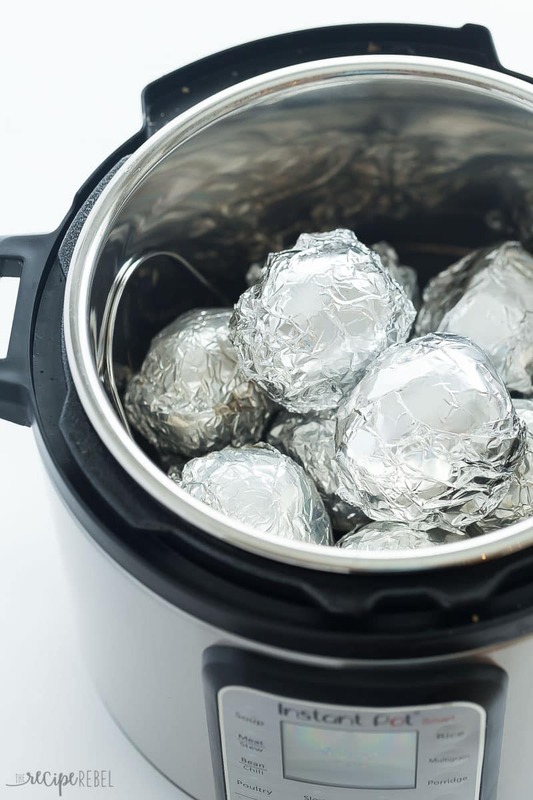 I wrap my potatoes in foil, place on bottom of crock pot and cook on “Low” all day. 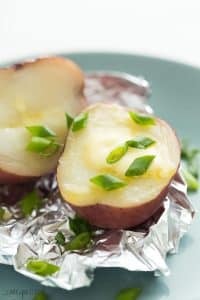 You can also apply butter and garlic to the outside of the potato before wrapping in foil. I just got an instant pot for xmas and have been experimenting with it. I’ll def have to try these potatoes, they sound so easy! I always use the quick release when done cooking because I’m super impatient. It only takes a few minutes that way. You’re right though, that steam is hot so I’m always super careful. I’ll have to try these potatoes soon 🙂 With a little butter and salt in the foil I think.